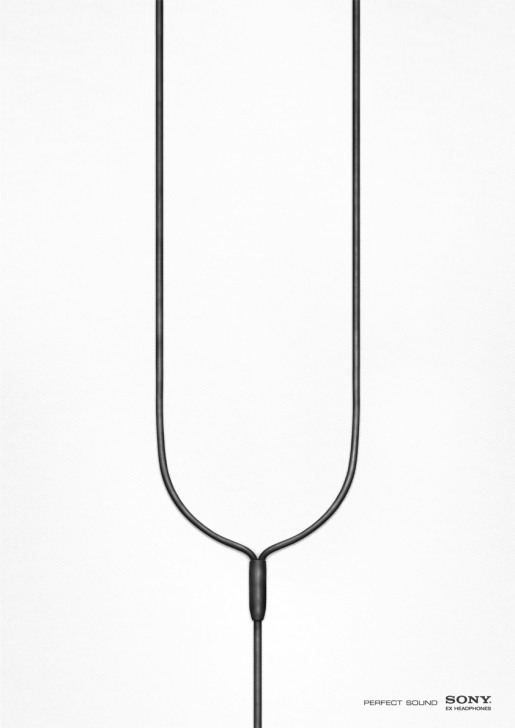 Sony Australia presents the “Perfect Sound” with “Tuning Fork”, a print advertisement for Sony EX Headphones. The advertisement was one of 17 Caxtons for Excellence in Newspaper Advertising awarded earlier this month. The Tuning Fork ad was developed at Saatchi & Saatchi Australia, Sydney, by executive creative director Steve Back, art director Nic Buckingham, copywriter Paul Bootlis, photographer Chris Mollison.